In Ireland for their biannual meeting, the Elders met senior politicians to push for the EU-wide labelling of Israeli settlement goods; heard from young activists in Northern Ireland about their growing political disillusionment; and appointed a new Chair. The Elders held their biannual meeting in Ireland last week. They dedicated much of the meeting to internal discussions around a new draft Strategic Framework, work programmes and future activities. The group also appointed Kofi Annan as their new Chair, and Gro Harlem Brundtland as Deputy Chair, to take over from Desmond Tutu with immediate effect. Archbishop Tutu will remain as an Honorary Elder. While in Dublin on 10 May, the Elders met Irish President Michael D Higgins, as well as the Tánaiste and Minister of Foreign Affairs Eamon Gilmore. Martti Ahtisaari, Ela Bhatt and Gro Harlem Brundtland met fifteen young people from Northern Ireland who had grown up with the peace process to hear about their work for reconciliation, human rights and inclusion. During the discussion, which we live-tweeted, the young activists shared their disillusionment with a political system still dominated by sectarian interests. High levels of unemployment and continuing segregation leave young people in marginalised communities particularly vulnerable to violence, and this is yet to be properly addressed. 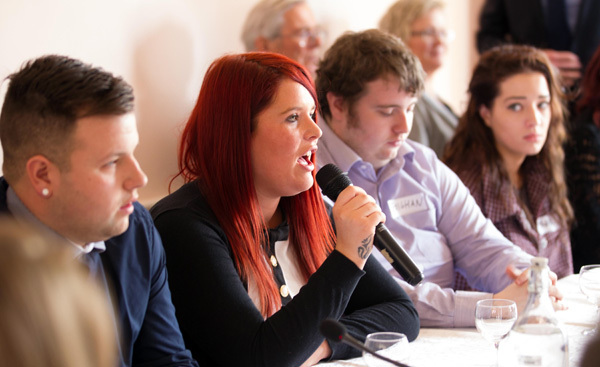 "We don’t have faith in the political system," young Northern Ireland activists tell the Elders. "We have ‘recreational rioting’ in Derry - unemployed people get involved in extremist groups because there is nothing else to do." The Elders were impressed by the young people’s remarkable commitment to building a peaceful, inclusive and culturally vibrant future for Northern Ireland. As they told reporters later that day, these youth voices must be heard and their interests must be represented by political leaders. During the visit, members of The Elders also met privately with NGOs and European diplomats to explore Europe’s role in reviving the Middle East peace process, with a particular focus on introducing the labelling of products made in Israeli settlements. The Elders believe that a united EU position in support of the two-state solution could reignite hope in the Middle East peace process. As Israel’s largest trading partner, the EU can send a strong political signal by introducing clear, EU-wide labelling guidelines to differentiate between products from Israel and products made in Israeli settlements. The Elders have consistently emphasised that these settlements are illegal under international law and a major obstacle to the establishment of a viable Palestinian state side-by-side with Israel.